I’m lucky and musically I’m in a good place. I am trying to cut down on carbohydrates, though. I may even be slightly obsessed with my craving for yummy food. I found a band just as obsessed with the tasty stuff. Synthetic nuggets with pewter. Nom-nom-nom. I heard about Sweet Synth Prince almost accidentally because I follow a friend’s video posts and I contacted him to see how he was. This band are friends of his. It was a “while you’re here…” serendipity! American band Sweet Synth Prince seem to cook up synthesiser-based music and whilst many of you proggists are most happy when a musical recipe contains no more than 76.4% of what ends up on the platter, if you have no problem with it making up 94.3% of what is plated whilst guitar makes up about 8% of the flavour and bass only 14.2% of the vegetables… I mean sound*, then this album is to make a tasty and nutritious music pie that should satisfy your appetite. What flavour is it all, then? Well, first let me explain why I might make certain comparisons so that you might further understand why I make them. In the mid to late 1970s the meat and two veg of the music industry, so heavy on roast potatoes and the newer recipe of punk, with its boil-in-the-bag bitter aftertaste was still producing a mighty delectable and diverse bill of fare. By the late 1980s, however, I started going off my food. My palate had been somewhat spoiled by over-cooked and slightly bland offerings from the likes of Yes and Genesis and Neo Prog just smelled slightly off and wasn’t on my menu. There was some dalliance with fruity Nouveau Romantic Cuisine Bands for a while, but then Ministry and Nine Inch Nails came along and provided me with an umami infused, spicily progressive, crunchy musical alternative. Whilst we were still being subjected to Albumen Orientated Rock like Asia that was neither sweet nor bitter, there was now another minor musical revolution going on. 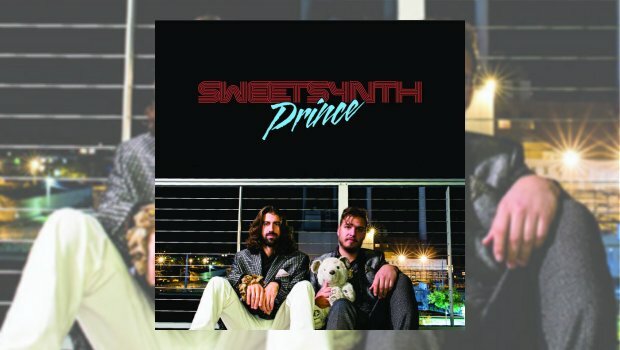 If anything, Sweet Synth Prince is the development of that umami-based music but without the bitterness. They are chunkier than Country and Western, not as marmite as Behemoth and nowhere near as heavily sweetened rice pudding as Asia. Even though they are somewhat synth orientated – they even have a synthesiser in their water closet – don’t be put off by this, nor by all this talk of Industrial Rock. There’s more than a nod to the genre, but that isn’t what this album is. They seem to be experimenting with a variety of cuisines and they do it with humour. I heard echoes of Blancmange and even Captain Beefheart and some bits reminded me of Muse. Their heavy reliance on the electronic side of instrumentation, the slightly more experimental tracks and their riffing in lieu of soloing, have all been blended into their batter. The menu is reasonably varied, even within any one dish. At once it has little orchestral, film-score qualities in pop-corn passages that might sound perfectly in their place as the credits roll at the beginning of a Bond movie. Yet there are chewy, driving, industrial passages that can get you masticating. There are other songs that quietly build a fizzy atmosphere underpinned with an almost pop sensibility peppered with the sound of tortured voices. The synthesiser is used as an experimental food processor, blending influences rather than as the clichéd remnant of an anachronistic 8-bit video game or some self-indulgent twoddling by some cheesy ‘70s zombie prawg-cocktail Mini-Moog soloist. Any reference to more traditional synth based sounds seem infused with at least a souciance of irony. Fun fact: Peas are full of irony and low on carbohydrates. This is a short album of good songs with a heavy reliance on the electronic side of instrumentation and some good tunes. For US$7.00 (that’s currently about £5.25) how can you go wrong? Plus, buying this album will allow them to make more music and I’ll look forward to hearing how they cook up new songs. In a single word: *116.5% Tasty.